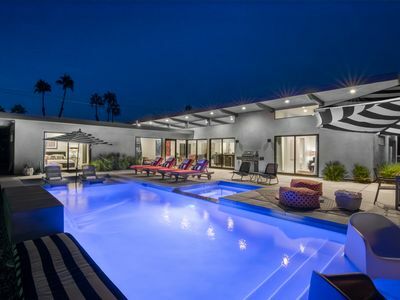 This completely remodeled one bedroom condo is located at the famous and storied Ocotillo Lodge, one time exclusive hangout of the glamorous stars of the 50's and 60's. 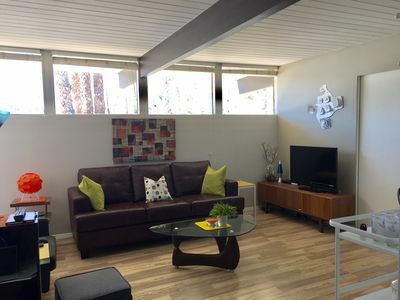 Everything in the unit is brand new, the modern aesthetic works perfectly with the mid-century modern architecture and surrounding complex, which still retains its mid-century charm and Rat Pack Swagger. 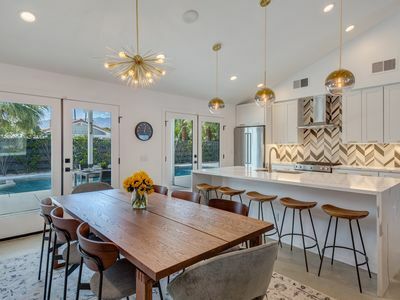 Mid-Century purists and design aficionados will love this option, as it provides the best of both worlds, with all the modern conveniences. 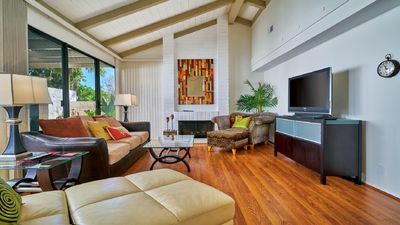 The living room features a comfortable sectional sofa , HD & Apple TV, and a giant wall of glass facing the large private patio for you to enjoy unobstructed views of Mount San Jacinto. 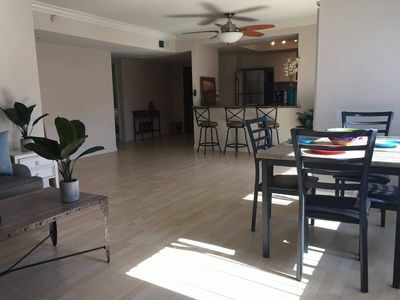 The open kitchen offers stainless steel appliances and all the gadgets you'll need for a weekend or extended vacation. The bedroom also has glass slider access to the patio and a clerestory window with views of the tops of palms and beyond. The bathroom has dual vanities and sinks with a walk-in shower. 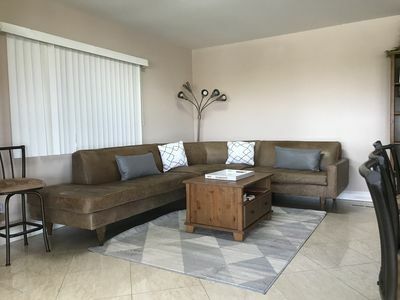 Situated near the NE corner of the complex along William Krisel Way and East Palm Canyon Drive, this 1 bedroom ground floor condo enjoys a private patio larger than other units, and is just steps away from the parking and all that the Ocotillo Lodge has to offer. 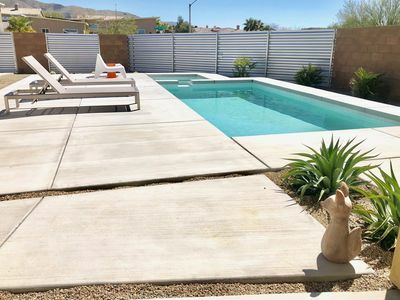 The grounds of the Ocotillo feature a champagne cork shaped, heated swimming pool, two large spas, gym, clubhouse with pool tables, shuffleboard, outdoor BBQ lounge area, tiki bar, community laundry and much more. 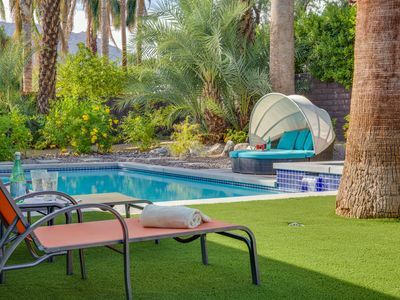 Enjoy you own private slice of Palm Springs glamour right here at the Ocotillo Lodge! 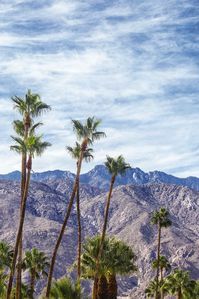 Right in front of the Ocotillo, catch the BUZZ trolley service into Downtown Palm Springs - hitting 30 stops every 15 minutes, helping you easily enjoy Downtown and Uptown Palm Springs restaurants, bars and shopping without a worry about driving or parking. 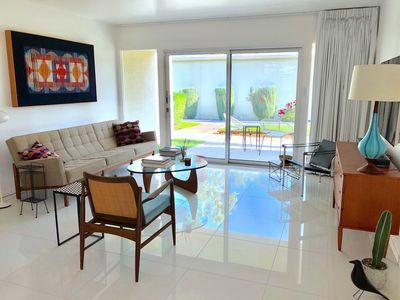 This particular suite was once home to dancing legend Fred Astaire, designed by architects Dan Palmer and William Krisel, built by the Alexander Construction Company in 1956. 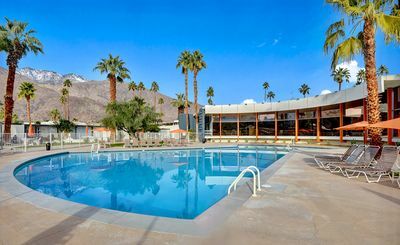 Ocotillo Lodge combined short and long-term residential living with the conveniences of resort-style amenities, with over 100 apartment-style units featuring private patios. 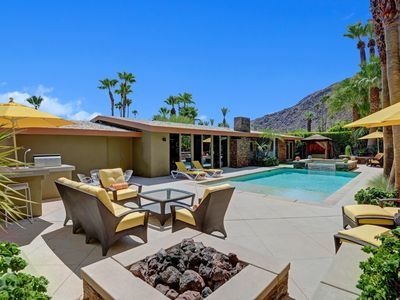 Ocotillo Lodge was a favorite spot for many celebrities, including Marilyn Monroe, Elizabeth Taylor, Betty Grable, Lucille Ball, Frank Sinatra, Katharine Hepburn, John F. Kennedy Jr., Jack Benny, Jean Harlow, Doris Day, Groucho Marx, Errol Flynn, Dean Martin, Sammy Davis Jr., Clint Eastwood, Gene Autry, Rock Hudson, Perry Como, Spencer Tracy and many others. 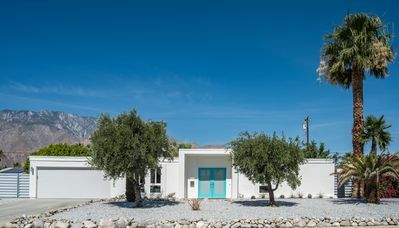 Modern Ranch Heaven~Read The Reviews! 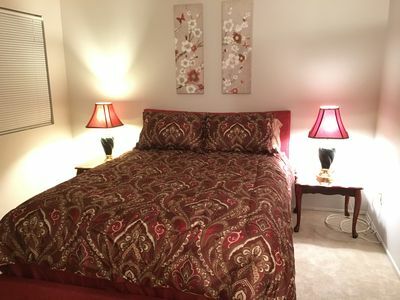 Pure elegance is waiting for you at this luxury vacation rental. 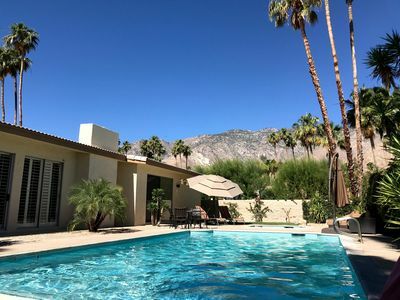 Beautiful Comfortable Palm Springs Villa w/Pool - Special Summer Prices! New! 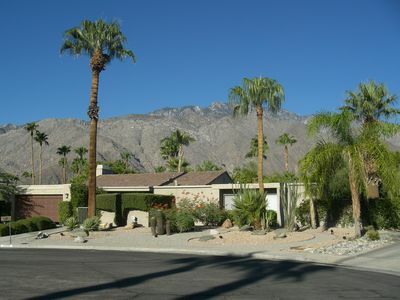 Classic Palm Springs Revival w/mountain views and RV parking. Excellent location, beautiful view. 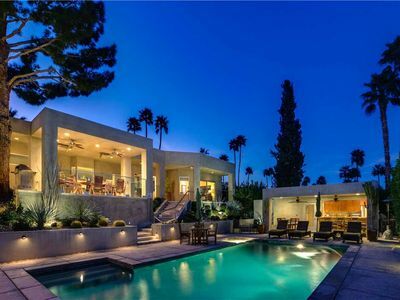 Pool and Jacuzzi just steps away.